Renowned Veracruzano "Jarocho" chef, Alejandro Urbina brings his "espirítu salvaje" to the plate and straight into your cake hole. With modern takes on "Comida Mexicana" traditional plates, to modern attacks on humble tasty-as-$%* street food and morsels. We don't forget the booze and liquor at Mexicola Bali - Nicolaza Que Pasa knows where to add the salt, where to put the tajín and exactly how much limon cabrone. So........ So the menu will be staring proper tacos, proper tostadas, aguachile, quesadillas and other legit antojitos (that's tapas). And it will make all the nachos and grey burritos you’ve ever ate look like the decaying corpse of Hernán Cortés. After one try of our saliva-triggering food you will probably be happy to eat it off the ground! We do. After adding up the banquet menu it only just reached the 250k price when shared. It may even have fallen short, as I was told the tostadas in fact come as 2 when ordering the item separately off the menu, and pending on whether the churros came as 2 or 4 pieces it may have been even worse. If this is the case, it's pretty poor value for money and I'm sure would be categorised as misleading advertising of pricing. Overall the prices are high when compared with other eateries delivering similar or better quality food and drinks. We were told they would bring us food until we told them to stop, what's not to like about that?! Food was A+, atmosphere was amazing and the music was a winner! Awesome atmosphere staff was extremely friendly and drinks/food were amazing but cheap! We were thoroughly disappointed with the service begininnig with the host on the front desk all the way through to the table service. The premium tequila (100% agave)Jose Cuervo tradicional that was promised on the menu for our margaritas was replaced with a sub standard mixto  tequila (mixto 51% agave) Pepe Diaz but the price of 130k stayed the same. We felt cheated that this was even thought to be acceptable in a premium venue. We also wanted to order tequila shots at the table but the first three tequilas we desired  Jose Cuervo tradicional blanco and reposado as well as 1800 blanco were all out of stock. It seemed very odd to us that the first half of tequilas on the menu weren't available and that the Mecicoala team were offering sub standard brands in replace of these premium brands. Following that, our food was dry and average and the service was incredibly lack lustre. I made a sprecial request in the booking to get 3 tequila shots on arrival for my brothers birthday but unfortunately these were forgotten about. We were incredibly disappointed with our evening. Also to note we ate and drank at La Calita the following night and the service, tequila and food was of a much higher standard. Somewhat surprising considering that Mexicoala is supposed to be the premium choice on the island. Go for dinner and you'll get a great experience. Great atmosphere with lots of dancing, hard not to have fun. Was an absolutely fabulous time. It changed quickly from a restaurant into a club which was a bit of a surprise. Such a fun atmosphere, great music, delicious food and the most lovely staff- a must! 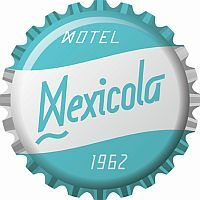 The Mexicola experience was amazing. The food was amazing and the price was very affordable. The drinks were just as good and reasonably priced. I will definitely be back again! We realised afterwards that we only received 5 of the 6 meals of the banquet which we were disappointed about but as usual the food was awesome and we had a great night. It is expensive but worth it. Great food but not very personable. Felt like we were rushed & on a production line to get us out? We had the best time at Motel Mexicola!!! We had 16 people for a 40th and sat up near the bar on a long table which was ideal. Food was great and plenty of of on the banquet we ordered and drinks were amazing. Awesome fun! Will recommend to our friends! We had an amazing time at Motel Mexicola. We came on our first evening in Bali and it really set the tone for our whole holiday - amazing atmosphere, delicious food, tasty cocktails and a really cool vibe. We had a 50th there and the staff were amazing! I booked online and the process was so simple and I was constantly kept in contact with to make it super easy! When we arrived staff were super friendly our main waitress was lovely and made our night fantastic. Food and drinks were brought out super quickly and it was a fantastic night overall! Very impressed! 15 of us went to Motel Mexicola and we loved the food and drinks the atmosphere was awesome. We danced on tables, sang, laughed. Everyone was smiling. Do yourself a favour and go!!!! Fantastic atmosphere and so much fun! I got food poisoning !!! Our night spent at Motel Mexicola was by far the most most epic fun night we had on our trip to Bali. Mexicola defintiely lived up to the hype & so much more; the atmosphere is electric! We drank many mojitos & margaritas; salivated over the fresh tuna & vego Mexican delights; danced on tables; had tequila poured into our mouths; quickly befriended fellow tourists; & boogied the night away to Spice Girls & vintage jams until closing time! OUR MOST FAVOURITE PLACE EVER! I was recommended this venue by many people and made a booking online 3 weeks ahead to ensure I got a table. Upon arrival we were sat on a communal table which is what I had expected if I had walked in. Disappointed with our table we were asked to move to a better table and were promptly moved to a table 2m away which were told we could only have for a 1.5 hour time limit. The staff were very friendly and seemed to enjoy the music although the clapping felt like I was at a birthday party more than a restaurant. I would say this venu is 100% street food and better suited as a drinking venue similar to a pub or tavern. The food was ok with some tacos being dry due to the tortilla's not being toasted well. Frozen margaritas were awesome. One other downside of the restaurant is it had no air conditioning. The night we went was 30 degrees with high humidity. The fans were pushing heat around more than cooling the place. This made for an uncomfortable dining experience. Would I return? Yes, but as a place to go drinking with mates which is what every other person had decided it was suited for too.